To create a new Planner, choose 'New Planner...' from the main 'Planners' menu. Enter a title for your new Planner. To simplify matters, choose the title of your book. 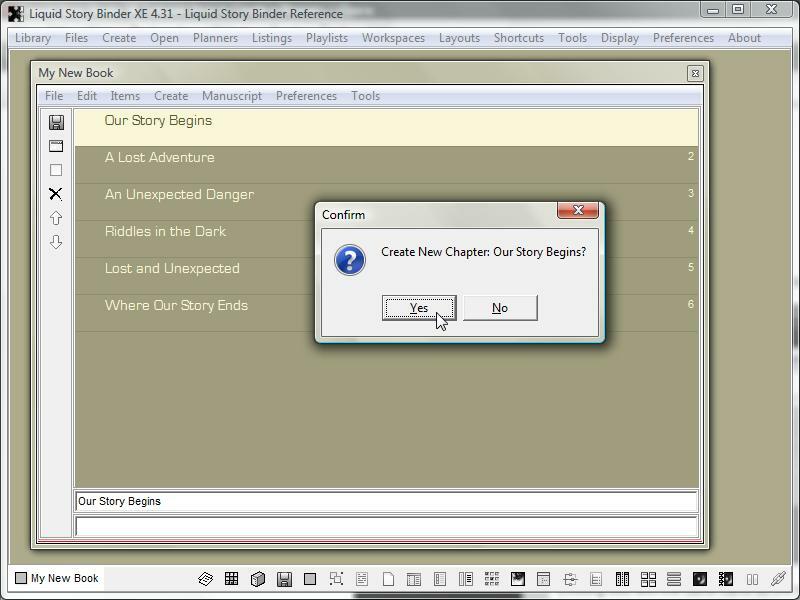 Begin by entering new Chapter titles for your novel using the topmost edit box located at the base of the Planner window. 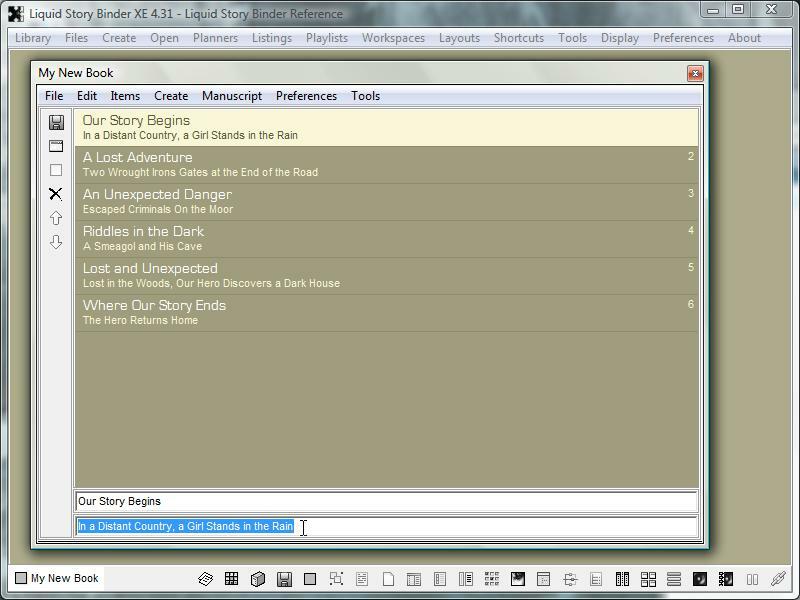 Do not number your new Chapters -- let Liquid Story Binder do the sorting for you. Double-click your titles to create a new Chapter. This new Chapter will have the same title as the selected Planner item. Once the Chapter has been created, notice that the newly-created title is no longer indented. To better distinguish your Chapters, use subtitles. To enter subtitles, use the lowest edit box. 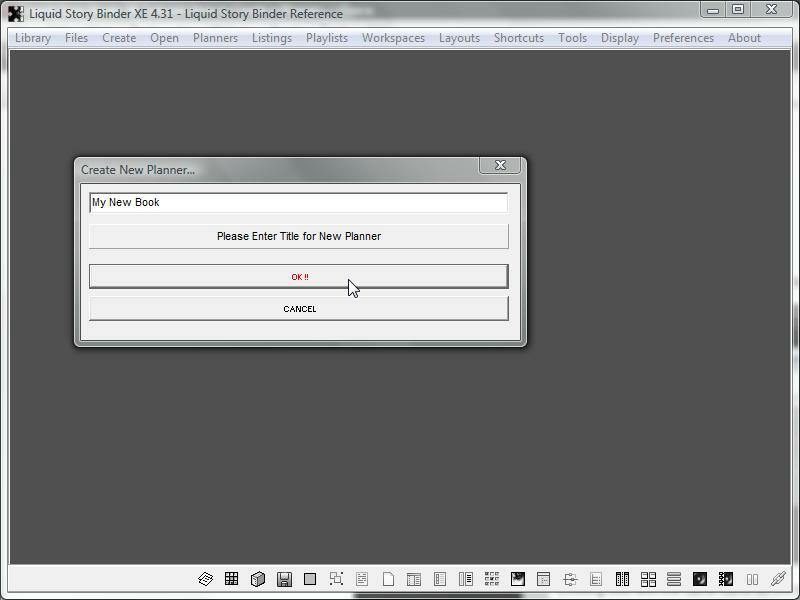 Use a Planner to create other like-named files. Choose a preferred file type from the Planner's 'Create' menu. 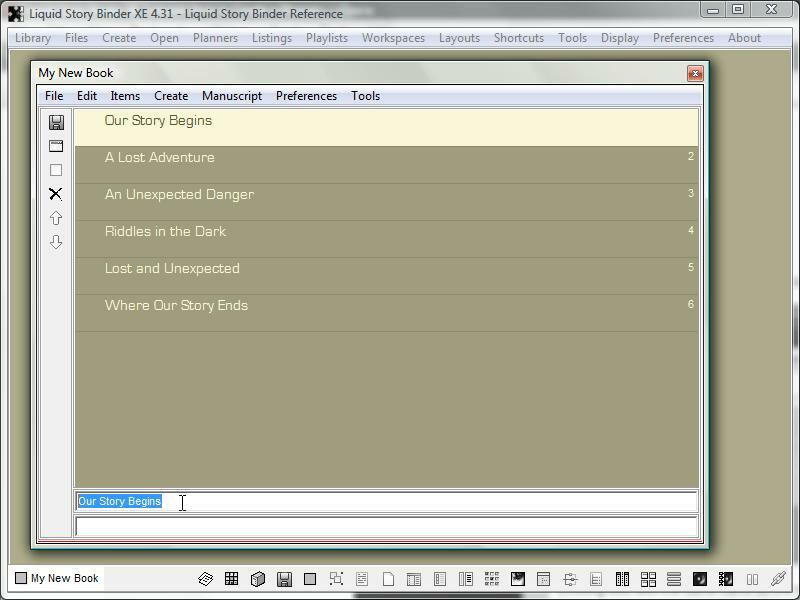 Like creating a Chapter, the newly created file will have the same title as the currently selected Planner item. 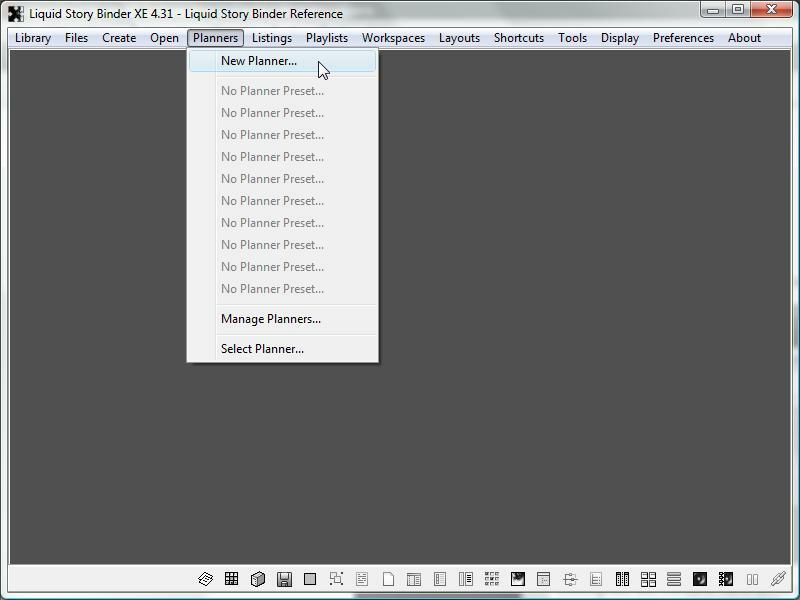 Click the Planner's 'Change View' button to view a list of like-named files. Existing files with the same name as the selected Chapter are listed by type for easy access. 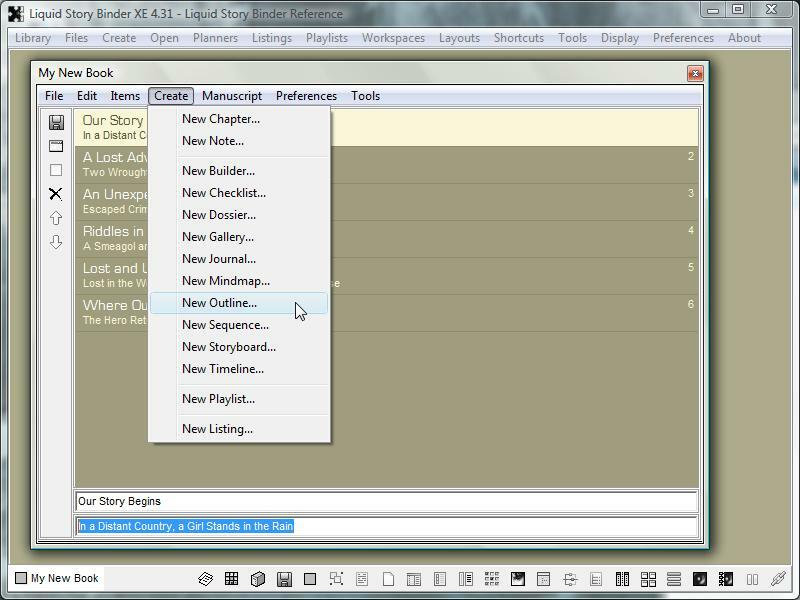 Use the Planner's 'Mass Rename' tool to rename your Chapters. This ensures that all like-named files, including the Chapter's Backup file, are named alongside their parent Chapter. Choose 'Rename Association Files' from the 'Items' menu to mass rename like-named files. 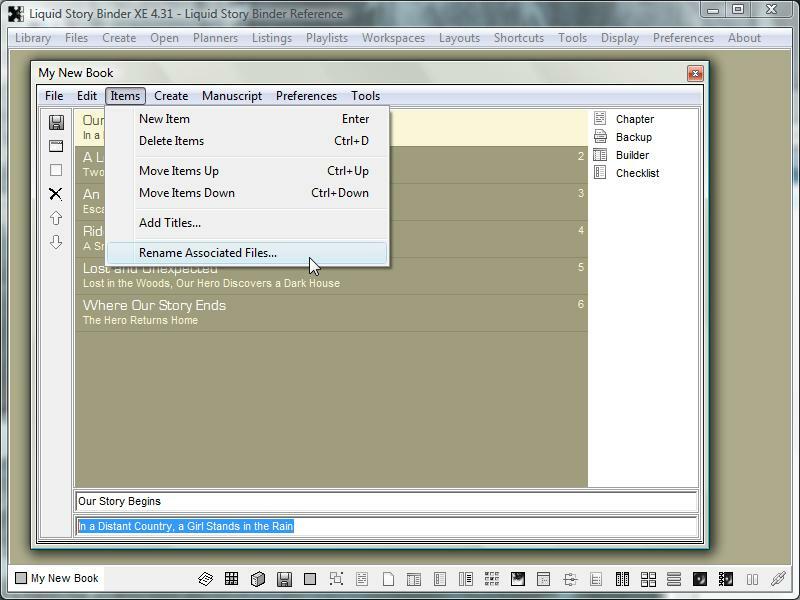 Use the Planner's 'Manuscript' menu to combine multiple Chapters into a single document for export or printing. 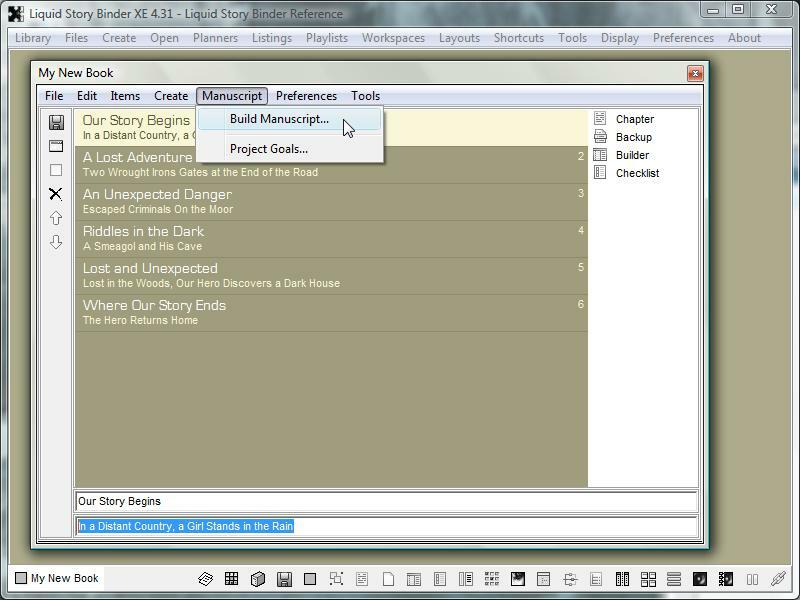 Chapters listed in the Planner are combined and formatted automatically using the 'Manuscript Builder'. 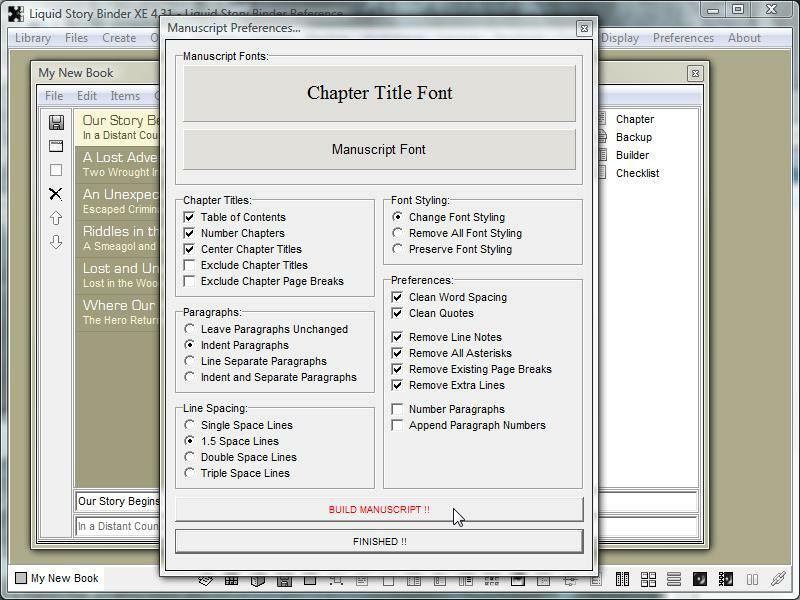 Choose your preferred manuscript settings and click the 'Build Manuscript' button to combine your Chapters.